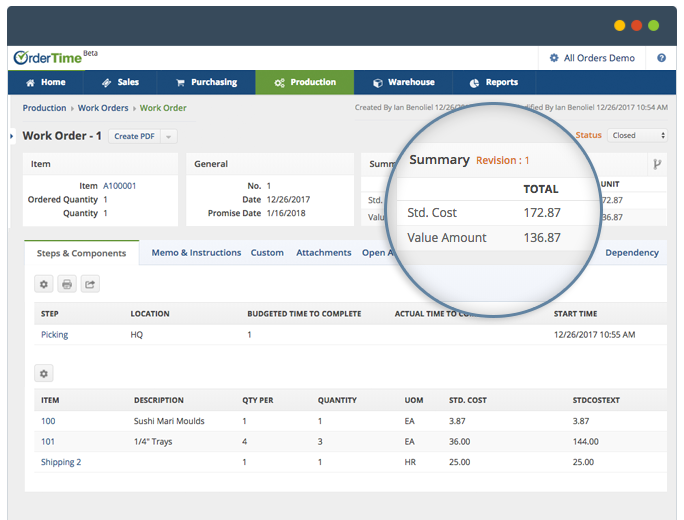 Order Time features give you unprecedented visibility into every facet of your business, including sales, purchasing, production and warehousing. Additionally, integration with all major accounting, eCommerce and shipping systems will streamline workflow and increase efficiencies; all from the comfort and convenience of the cloud. Manage your products with Order Time including descriptions, images, prices, costs, vendors and more. Create different types of products and items including parts, services, kits, assemblies, configurations and styles. Sell, purchase and use with multiple units of measure. 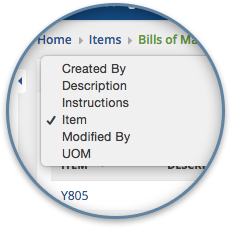 Categorize your items with groups and up to 100 user defined fields. 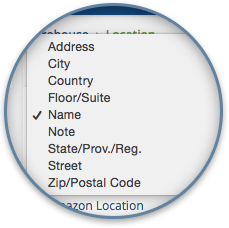 Use aliases to identify items including manufacturer, vendor and customer part numbers as well as UPC and SKU. Order Time covers the entire sales cycle from lead to payment. 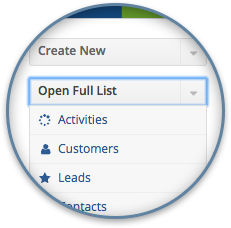 Manage leads, customers, contacts and addresses. 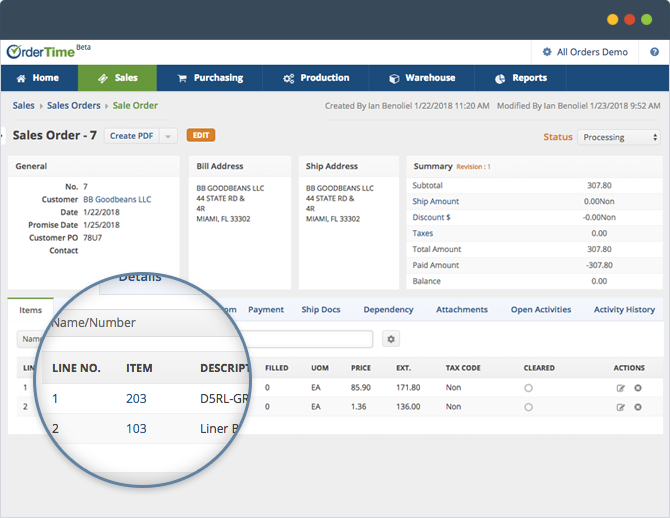 Generate quotes and sales orders and track their statuses while controlling approvals. Create unlimited price levels allowing for advanced pricing models including customer specific price catalogs, markups, volume discounts and start/stop dates. Fulfill orders one at a time or in a batch using bar codes and scanning. 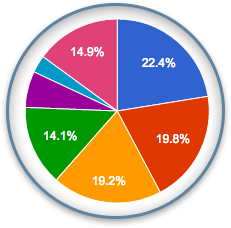 Vendor management including multiple vendors per item, vendor part numbers, costs and lead times. 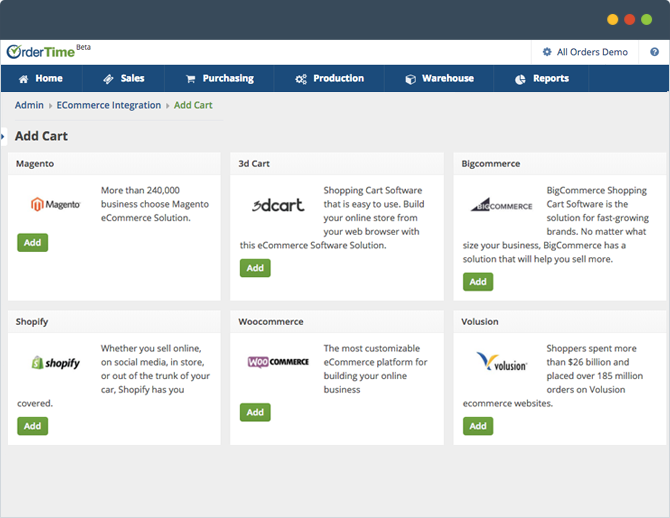 Supports multiple purchasing models including reorder points and just-in-time. 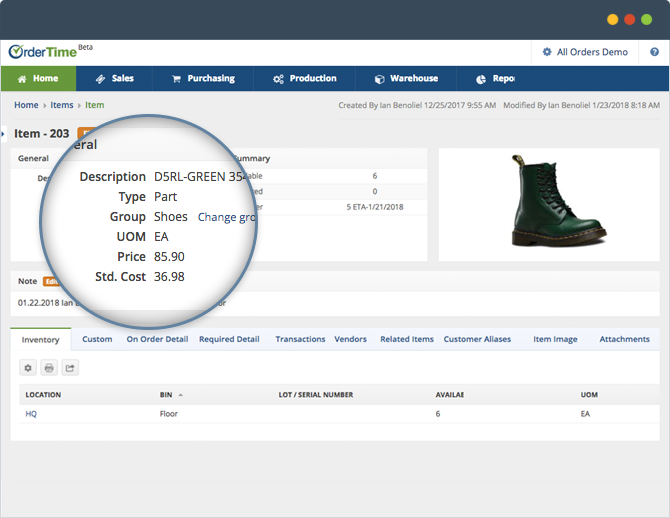 Identifies low inventory and automates purchase order generation. Control receipt of inventory into locations and bins. 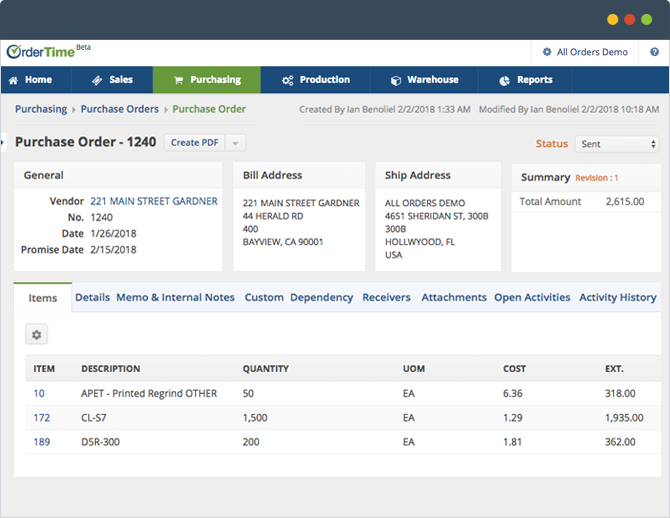 For assemblers and light manufacturers, Order Time gives you the tools to track work orders (production orders), raw material or component usages, costing and scheduling. Bill of Materials (BoMs) with routing steps. Nest sub-assemblies to create indented BoMs with unlimited levels of detail. View cost breakdowns, margins and markups. Use the calendar to view and schedule production for users. The Work Order and Disassembly uses the BoMs that have been defined for high level production management. Build complex assemblies with the ability to modify components to be consumed on the fly for each finished assembly. Allocate only what you need to begin production and split Work Orders to keep production moving. Know exactly where your inventory is at all times! Track an unlimited number of locations and bins including the ability to transfer inventory between locations and bins. Full support for creating, managing and tracking lot and serial numbers including qualitative data such as expiration dates and up to 30 user defined fields. Count inventory using the cycle counting screen or do ad hoc adjustments. Includes landed costs calculations and value adjustments. No one is an island unto themselves. 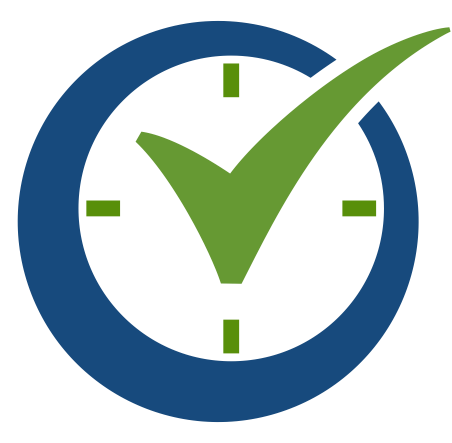 Order Time provides the tools for collaboration with stakeholders. Create tasks and events for yourself and other users. 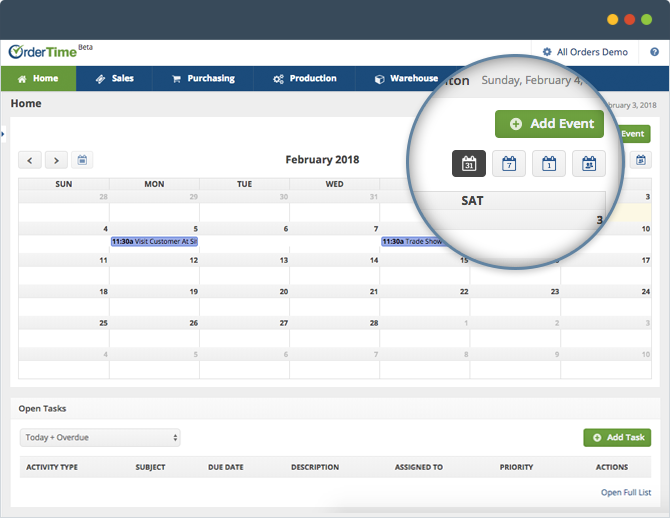 You can also create events and tasks in relation to a Customer or Sales Order. Gain visibility into your team's schedule. Use data to glean insights and make better business decisions. 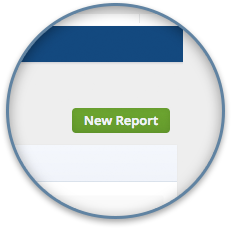 Powerful reports allow you to gain insight into your business. 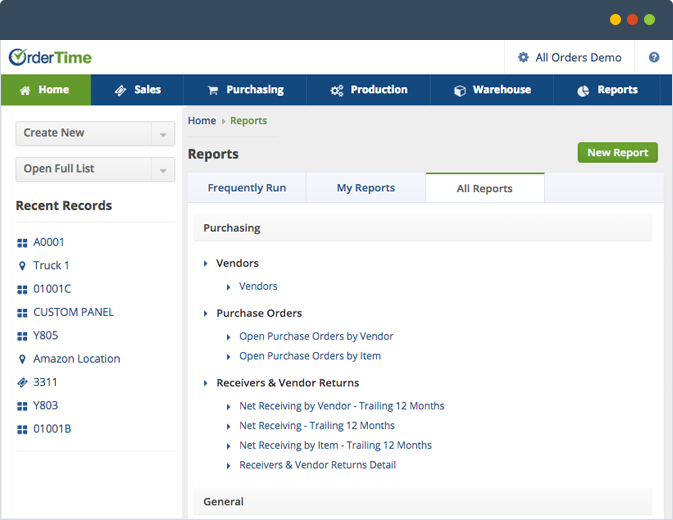 Create an unlimited number of customized reports. Sales, purchasing and production dashboards. 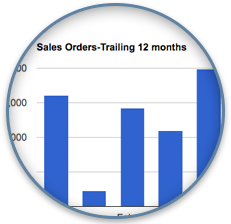 Sales order reports by client, product or variant. In 2002, NumberCruncher was one of the first companies to integrate with QuickBooks! Now we make sure that integration is a key feature in all of our software. Import orders and customer information from best of breed Ecommerce platforms. Powerful accounting synchronization with QuickBooks, updates to entities, such as items and customers and transaction export including invoices, bills or item receipts, credit memo and adjustments. 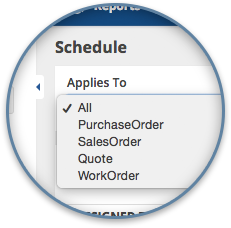 AUTOMATE YOUR ORDER MANAGEMENT PROCESS today! 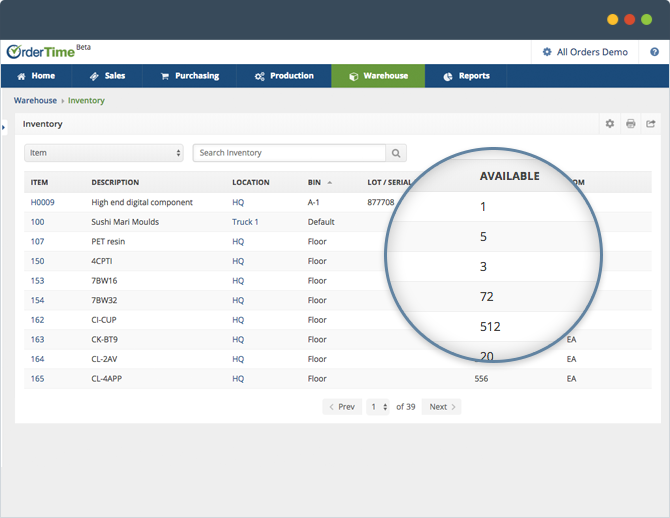 Order Time will give you unprecedented visibility into sales, purchasing, production and warehousing. Integration with accounting, ecommerce, shipping and EDI systems will streamline your work flow and increase efficiencies.